DKR takes place in 1986, but a 1986 for a Batman who has been active since the 1950s. 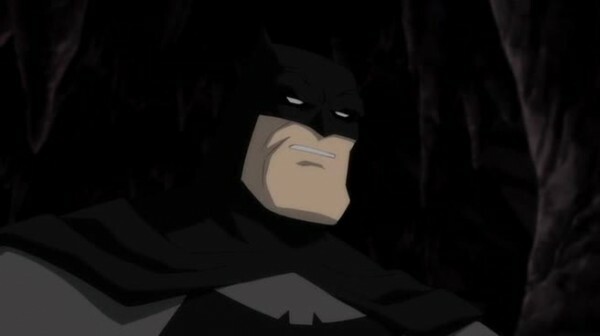 Batman has been retired for a decade, and Bruce Wayne is 55 years old. 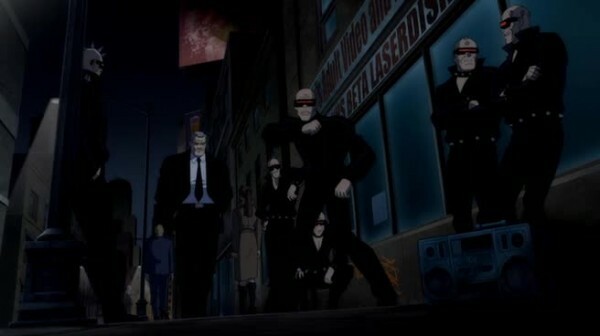 Despite his years of work, Gotham is worse than ever, currently terrorized by a brutal gang known as the Mutants. The news reports are rife with tales of Mutant killings and crimes, as well as the upcoming retirement of Police Commissioner Jim Gordon. Gordon and Wayne meet for drinks to catch up, and it’s obvious that Wayne’s decision to retire (and the death of Robin Jason Todd) is still weighing on him. Bruce Wayne is introduced pushing a racecar beyond its safety limits and barely ejecting safely from a horrible crash. He continues to push himself with a death wish, egging on Mutant gang members that plan to mug him (enough that it scares them off!) Wayne downing drinks with Gordon shows what else he’s doing to keep busy instead of fighting crime. Harvey Dent/Two-Face is set to be released from Arkham Asylum, and has been declared fully rehabilitated and has had surgery to look entirely normal. But we all know what happens with rehabilitated villains who are released from asylums, and immediately Two-Face is planning something. This is coupled with Wayne’s recent psychological issues, stemming from imagery of a giant bat, the same imagery that frightened him as a child and inspired him to take the mantle of Batman as an adult. The giant bats are presented as a primal godly force that he can’t avoid, though there are actual physical giant bats as well. 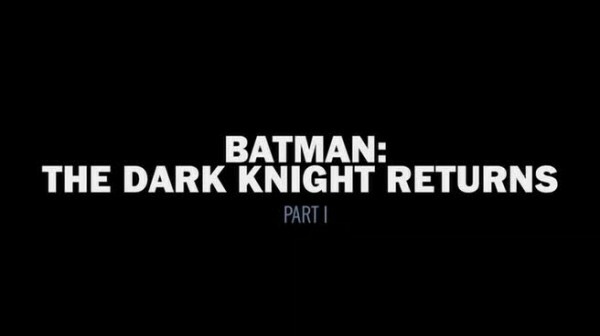 What it means is Batman is back with a vengeance, striking fear into the hearts of a new generation of criminals. He’s also more violent, but not so violent that he’s outright murdering people, just wounding them a lot. 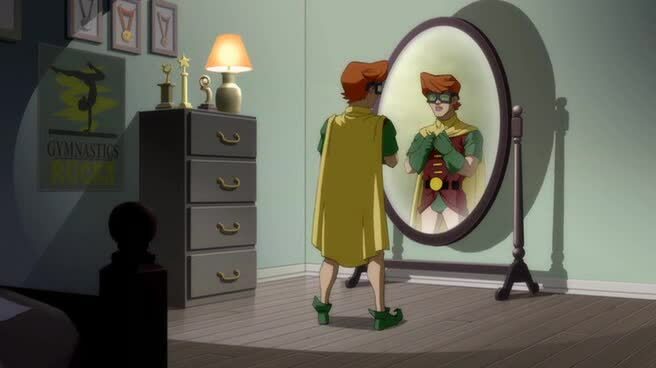 Of note is one person he saves on this night, Carrie Kelley, who is inspired by Batman’s actions enough to turn herself into Robin so she can fight alongside her hero. The media shows mixed reaction to the return of Batman, as usual they have both sides to arguments, even if one side is completely daft. Batman knows Two-Face is up to something, and soon enough Two-Face and his goons have two huge towers in Gotham wired with bombs and are demanding millions of dollars. Batman beats his way through the goons and disarms one bomb (the other explodes on a fleeing helicopter, killing those on board), and capturing Harvey Dent. Dent’s goal was to kill himself, and he thinks his whole face is scarred, despite the reality of it looking normal. 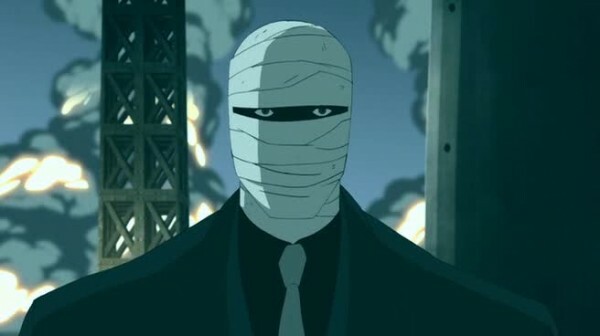 Two-Face is more than the visual mask of looking half-man, half-scarred, the psychosis is deep and permanent. He is Two-Face, not Harvey Dent, no matter what was done to try to make him the other way. The same is with Bruce Wayne, who is Batman, despite the denials and the retiring. Batman is the true from, Bruce Wayne is the mask and costume, and denying who he was caused things to get worse, not better. This section marks the end of the first chapter of the comics. Batman’s goal now is the greatest threat to Gotham, the Mutant gang. 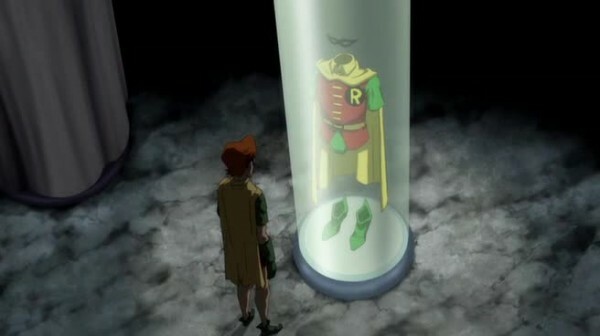 Meanwhile, Carrie Kelley is continuing to dress like Robin and run around “training” by leaping from rooftop to rooftop. In the comics she stops a few low-level crimes by using non-lethal weapons like firecrackers and slingshots, this is condensed to just one episode in the film. The military-grade arsenal the Mutants are seen packing is explained by a rogue general selling them arms to raise money for his wife’s illness. One of the first group of Mutant victims mentioned by the news are a group of nuns, a real world analogue being the murder of four nuns in El Salvador in 1980 by the US-backed right-wing government. Gotham has become a domestic war zone, with a mass insurgency causing internal strife and preparing to attack. The Mutants are meeting in the dump as their leader is declaring war on Gotham. Batman charges in driving a tank-like Batmobile. What looks like World War Three breaks out, with the Mutants firing their military grade weapons at the super tank, which is firing back. 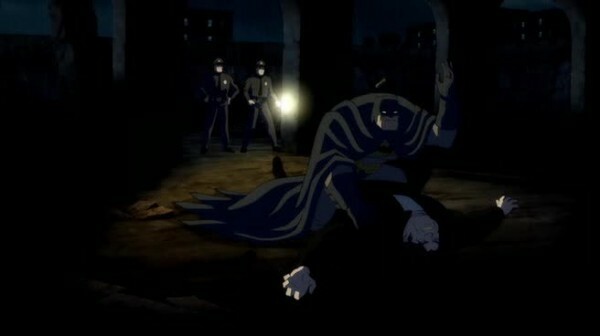 We learn a bit into the fighting that Batman is using non-lethal weaponry – due to the Mutant Leader mocking him for it. The Mutant Leader challenges Batman to a one-on-one fight. Despite knowing it’s a bad idea, knowing the Mutant Leader is younger and faster, and Alfred’s strong objections, Batman emerges to do battle. 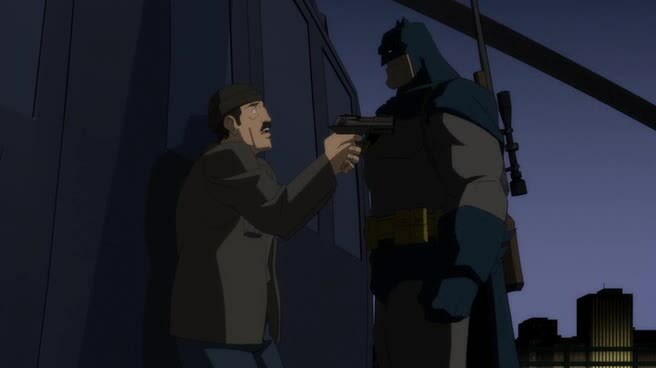 It goes about as well as you’d expect from a mid-fifties man battling a mid-twenties man, in that Batman is losing. He’s almost finished except Carrie jumps in to distract the Mutant Leader enough for Batman to take him out of commission before collapsing, Carrie dragging him back to the Batmobile. It’s a common joke that Batman can defeat anyone, if he has time to prepare in advance. That joke may have its origins from the fourth part of The Dark Knight Returns where Batman battles Superman, but a precursor is here. 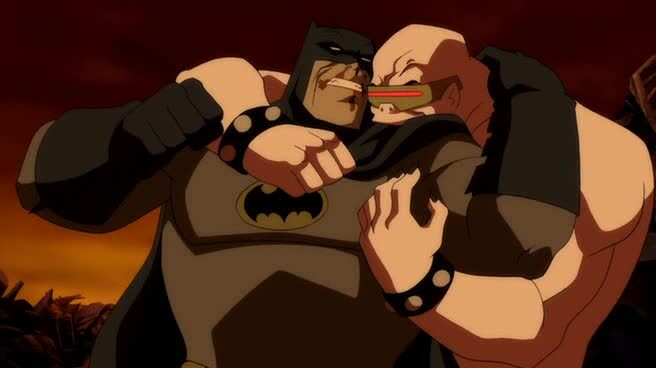 The spur of the moment fight with the Mutant Leader was ill-advised, Batman knows he must defeat the opponent utterly to stave off the Mutant threat, and that can only happen if Batman evens the odds. He has to out-think his opponent. The Batman family is together again, and the next step is to deal with the Mutants. 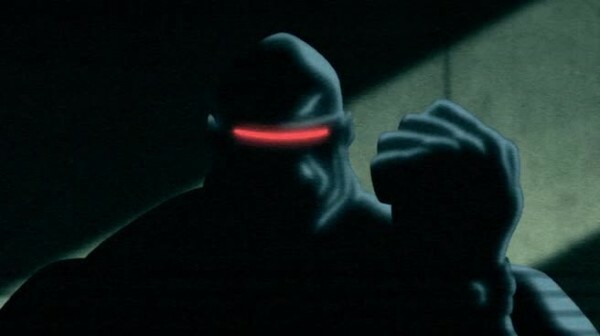 The Mutant Leader is in jail after the aftermath of the battle at the dump, but still issuing threats to destroy Gotham. The Mayor makes the only actual decision he’ll ever make in an attempt to negotiate with the Mutant Leader, alone. The decision is decidedly bad, because the unarmed imprisoned Mutant Leader still manages to kill the Mayor. 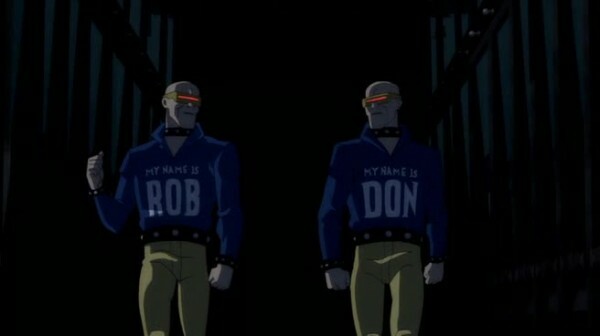 Bruce and Gordon have one last operation together, as Gordon sets things up so the Mutant Leader can leave his cell, but only by going a specific path into the sewers. Where he emerges into a puddle of mud. An actual puddle of mud, not the band. The escape is a trap, the puddle of mud is an arena where he and Batman will fight. The audience is the majority of his Mutant gang, told to come there via Batman and Carrie using disguise and rumor. The mud will slow the Mutant Leader’s quickness, and Batman cuts him above the eyes where blood will soon stream down, blinding him. The defeat must be total, the Mutants worship their leader as invincible, seeing him humiliated will cause a destabilization of the gang. 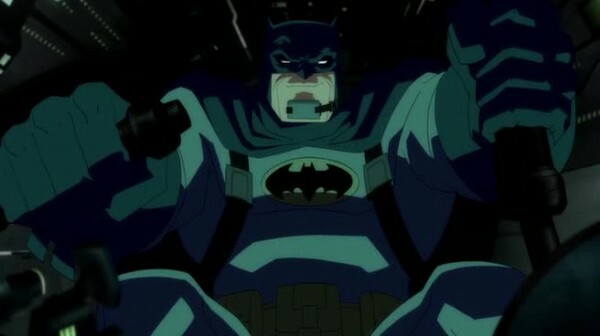 This is Batman, so the outcome is not in doubt. 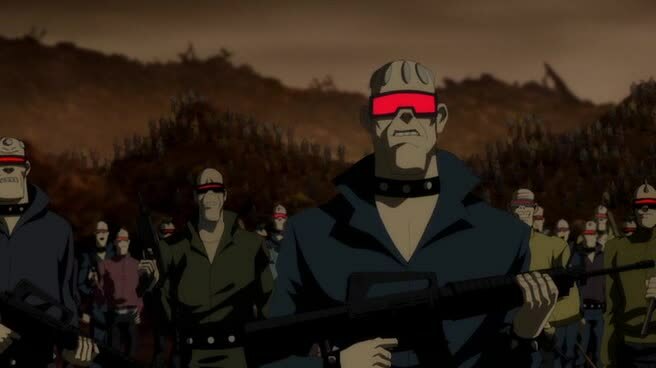 The defeat of the Mutant Leader leads to the balkanization of the Mutant gang, forming into numerous splinter groups. One in particular dubs themselves the Sons of Batman, their spokesman promises violent retribution against criminals. Some of the gangs will be featured in Part 2, so discussion will be moved there. 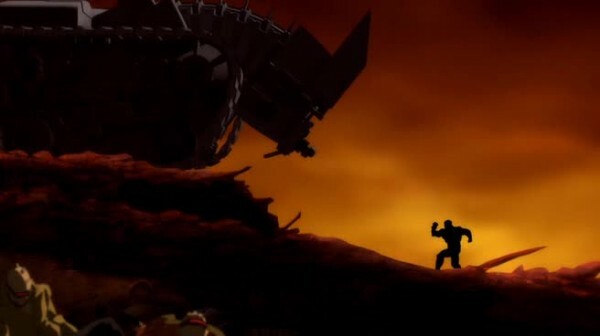 The Mutant Leader as a figure of worship is one of the first instances of the “Great Men” philosophy that is repeated throughout the series. Gordon gives Ellen Yindel (his replacement as police commissioner in a few days) a speech about FDR, how hearing him on the radio helped strengthen the resolve of the US and won the war. Also the conspiracy that maybe FDR knew about Pearl Harbor ahead of time and let it happen. Gordon resolves that he doesn’t worry about that any more, because FDR is too big to judge. The Mutant Leader is the gang’s Great Man, but he’s defeated by an actual Great Man, the Batman. More on this in Part 2 as well. The defeat of the gang eliminates the greatest threat to Gotham, but Batman’s activities haven’t gone unnoticed by his greatest enemy. The Joker lies catatonic at Gotham Asylum, but the mentions of Batman on television have brought him back. The film moves the Joker reveal to the end of the film, while he awakens in the first issue of the comic series. 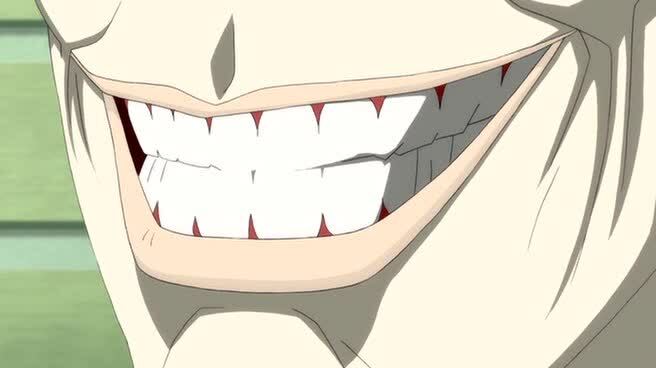 The Joker will have a major role in the next chapter, as well as the other major opponent: A boy scout. A weapon. The only authorized hero still operating, Superman.